I am excited to announce that along with the 28 Day Low Carb Meal Plan you get when you sign up for the daily email, you can now also get 7 fantastic Sugar Free, Low Carb, Keto Friendly Breakfast Recipes for just $2.99 by clicking here! These are 7 recipes (and a bonus!) 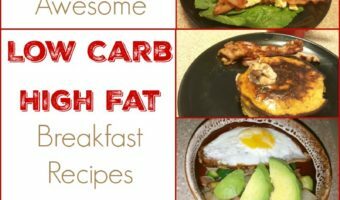 that I … Continue reading 7 Awesome Low Carb, High Fat Breakfast Recipes!